Malpractice Insurance coverage for urgent care centers is something Presidio Insurance specializes in. Proper coverage is a vital component of your facility and it’s business operations. We will help you structure coverage which allows provides excellent coverage and makes administration a breeze. Learn about Malpractice Insurance for Urgent Care facilities–Visit our learning center. Occurrence Policies – Find out why this policy may be the right policy for you. 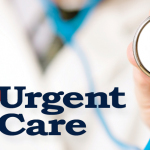 Urgent care facilities face specific risks and challenges when it comes to insurance coverage. We understand those challenges. Knowing you have adequate coverage is important to your piece of mind. You buy insurance for when you are served with a lawsuit, not if. It is predicted that affordable care act (ACT) will create an environment where Urgent Care Facilities will play a greater role in patient care and we expect the number of patients visits to increase substantially, more patients = greater risk. Whether you are opening a new facility or just need to review your current coverage, Presidio Insurance can help. Let our team help you put together coverage that suits both your short and long term needs. Call us, we always answer the phone during normal business hours. 800-317-6411.